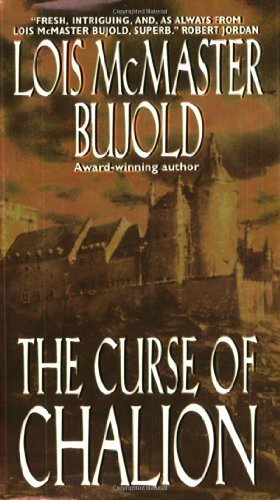 In The Curse of Chalion Lois McMaster Bujold, creates a fantasy world based on Reconquista Spain, a world shot through with divinity and magic. The hero, Cazaril, returning home from the wars betrayed by his superiors and broken in body and spirit, finds a new job as tutor-secretary to the royal heiress, and finds something new to believe in and care about as he attempts to guide her through political intrigue and family tragedy. The world building in the book is well thought out and incredibly detailed. The magic in this world flows from the gods, and is often indistinguishable from miracles. The characters, even minor ones, are well fleshed out; even the villains have understandable motives and emotions. The main plot takes a little time to get rolling, but plenty is happening to keep the story moving along briskly, and the writing is compulsively readable. Ms. Bujold has set two more books in this same world, Hugo award winner, Paladin of Souls (a direct sequel) and more distantly related, The Hallowed Hunt. 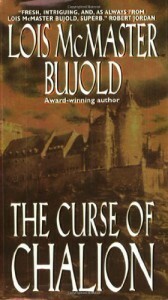 I’m a great Bujold fan, and will read whatever she writes, but this book is one of my favorites. Chalion is not a brand new book, but it is one worth suggesting to readers looking for a human story set against an epic background, or a fantasy grounded by very human characters. This entry was posted in Books & Reading and tagged Bujold, Friday Reads. Bookmark the permalink.